Remember Proposition 63? The voter initiative known as the Mental Health Services Act was approved in 2004. It imposed a 1 percent surtax on income over $1 million to fund services for Californians with a serious mental illness. Now, nine years later, the state auditor is about to release a long-awaited report, detailing how nearly $9 billion in taxpayer money raised by Prop. 63 has been spent. Whether that money has been spent wisely is being hotly debated, and even the bill's co-authors are divided. “What did they do with the money? Where has all the money gone? We would like to know,” said Rose King, one of the initiative’s original co-authors. Lawmakers requested the audit after whistle-blowers including King complained that the funds were being misused. As written, nearly three-quarters of the money raised by Prop 63 was slated to fund services for people already diagnosed with a severe mental illness. Twenty percent was reserved for prevention and early intervention strategies. The remaining funds would go to oversight, administration, and innovations. Instead, King, who has battled for years to get mental health services for members of her own family, charges that voters who approved Prop. 63 have been duped. “It is a model of discrimination and waste,” she said. The other co-author of Prop. 63, Rusty Selix, also welcomes the audit, but for a different reason. “We think that the audit will affirm that 99 percent of the money has gone exactly where it should go,” said Selix, who heads the state Council of Community Mental Health Agencies. He says Prop. 63 is funding a continuum of care for the very people who need coordinated services most. Not so, according to Peter Mantas, the former chairman of the Contra Costa County Mental Health Commission, whose own family was ravaged by mental illness. Mantas’ son, who was diagnosed with paranoid schizophrenia, took his own mother’s life during a schizophrenic break. In the aftermath of that tragedy, Mantas says he witnessed first-hand a fragmented system that allows people with severe disorders to cycle through emergency rooms over and over until the unthinkable happens “They wind up getting jailed, not taking medication, continuing the downward spiral, and society pays a very hefty fine for that, beyond the emotional toll,” said Mantas. According to Mantas, Proposition 63 should be revamping mental health care from the ground up to make the most vulnerable people with severe illness the priority. Instead, Mantas wound up quitting the county commission in frustration after two years, charging that too much money was being funneled into what he calls “little feel-good programs,” that don’t impact the entire system. Yet supporters of these programs say they are the very kind of services that might have helped Mantas’ son before it was too late. They cite examples such as Daniel’s Place, a comfortable drop-in center in Santa Monica, where young people who are troubled can come, whether diagnosed with a mental disorder or not. Some of the clients receive traditional case management; others come for support groups, or non-traditional services such as art therapy, drama therapy or even a popular drumming group. 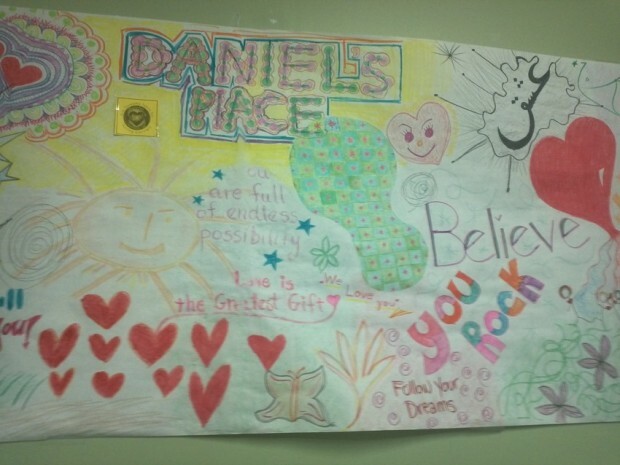 Program manager Emily James says Daniel’s Place is a low-barrier environment by design. “It’s a lot easier to start talking to a young person about coming to an art group than saying, ‘Come in and see our psychiatrist and get on psychotropic medications.’ That’s just not something that a lot of people want to do,” said James. Prop. 63 also pays for peer advocates at Daniel’s Place, such as Duane Lynch, who has received mental health services himself. “There’s someone around their age, someone who understands what they’re going through because they lived through the same thing,” said Lynch. He says some young clients can connect better with a peer advocate than a professional therapist because the two have had a shared experience. According to Selix, Prop. 63 money, about $1 billion per year, was intended to supplement an existing $2 billion state mental health budget. Instead, he says, the recession prompted Sacramento to slash the existing budget almost in half. The new funds from Prop. 63 have barely filled the gap. UCLA psychiatrist Joel Braslow says Prop. 63 averted what would have been an even worse collapse in public mental health. “Most people are not being adequately cared for that have severe mental illness,” said Braslow, a historian of public mental health systems. “What Prop. 63 has done is at least allowed for better care than would have been possible otherwise,” he said. The state audit, scheduled to be released next month, may answer some questions about how Prop. 63 funds are being allocated. But Braslow says no matter what it shows, mental illness will remain a neglected social problem until Californians get real about what it costs to adequately care for people who can’t take care of themselves.